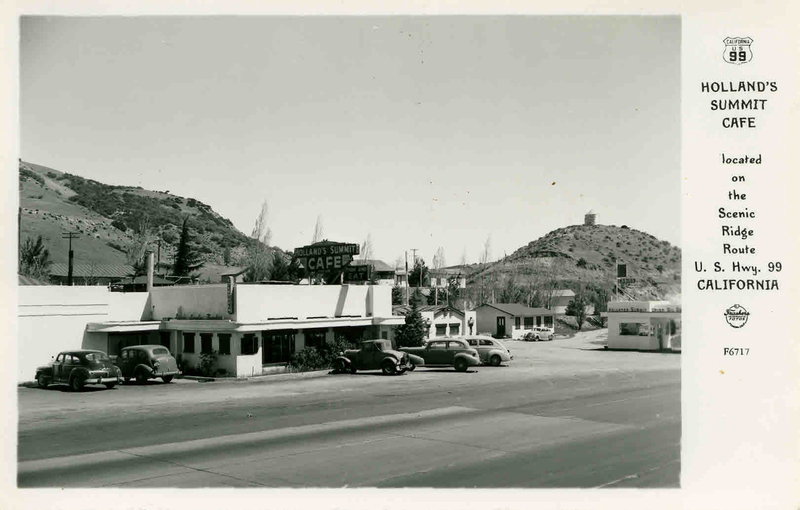 Frasher's Real Photo Postcard, Holland's Summit Cafe on the Ridge Route Alternate, U.S. Highway 99, 1940s. Originally located on the Ridge Route just south of Caswell's on what is now the Gorman Post Road, Holland's Summit Cafe started as a truck stop devoid of tourists. The site featured a Standard Oil gas station, garage, and cafe. When the Ridge Route alternate was opened in 1933, Holland's was relocated from it's original location to the new highway.